Kinsmen Pitch and Putt Offers Edmonton’s most inexpensive green fees, and represents excellent value for families and young people. The Kinsmen Club of Edmonton is extremely proud of the recreational facilities that it has developed to enhance the quality of life for Edmontonians. 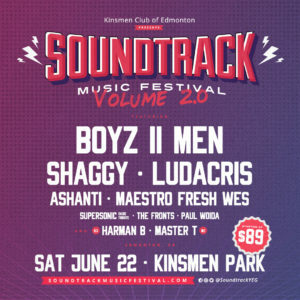 Taking place on Saturday June 22, 2019 at Kinsmen Park in Edmonton’s beautiful river valley, Soundtrack Music Festival will return as Edmonton and region’s most unique music, arts and culture festival. Our motto is "Serving the Community's Greatest Need." The Kinsmen Club of Edmonton works to better our community and enhance the well being of Edmontonians. Founded on February 20, 1920 by Hal Rogers in Hamilton, Ontario, Kin Canada clubs have impacted countless communities in Canada and beyond our borders. Since our inception, in October 1925, we have provided millions of dollars to numerous locals and national charities. Our motto is “Serving the Community’s Greatest Need.” We work in the community to promote service, fellowship, positive values and national pride. Kinsmen Projects have enhanced our community and raised funds for public service. Projects include the Twin Ice Arenas, Kinsmen Sports Centre and more. We are always looking for new members! Join us for a meeting and discover how we can work together to make Edmonton an even greater community. We have volunteer positions available for many of our exciting fundraiser events. Feel free to donate! All the money we raise helps out worthy charities in the Edmonton Area and enables us to support our community’s greatest need. Follow us on Facebook to get the latest information about the Kinsmen Club of Edmonton’s upcoming events, fundraisers and more! 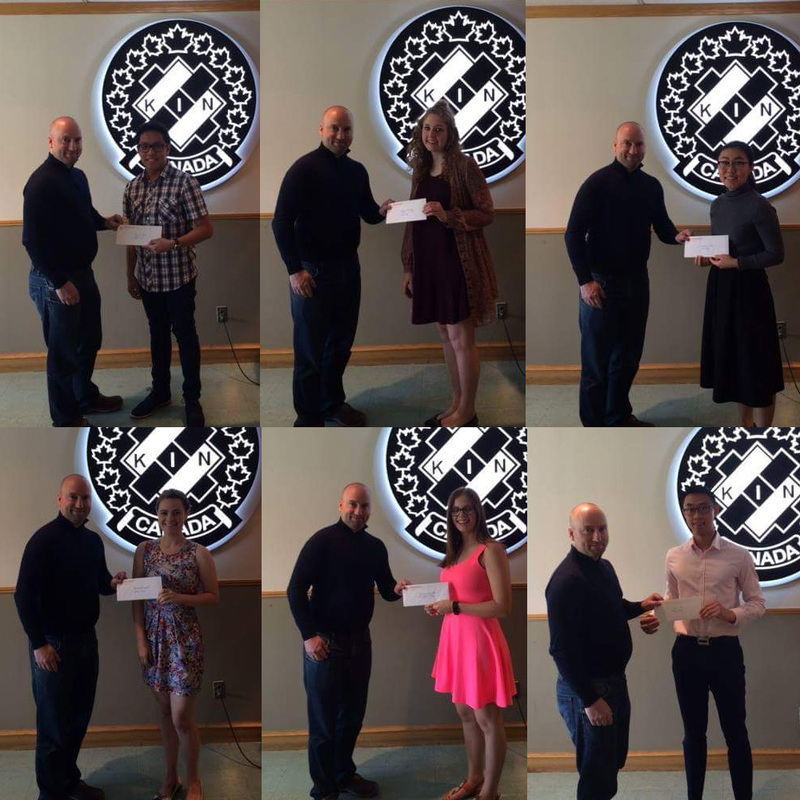 Every year, the Edmonton Kinsmen provide a $1,000 scholarship for every high school in the city, based on community service work. “Serving the Community’s Greatest Needs” is the Kinsmen motto and something all members of our club strongly believe. This belief inspired the club to begin offering scholarships to students who demonstrate a commitment to the community and helping others. One student from each high school in the city will receive the Kinsmen Club of Edmonton Community Service Award every year.